Support Union Dads This Father’s Day and Buy Union! 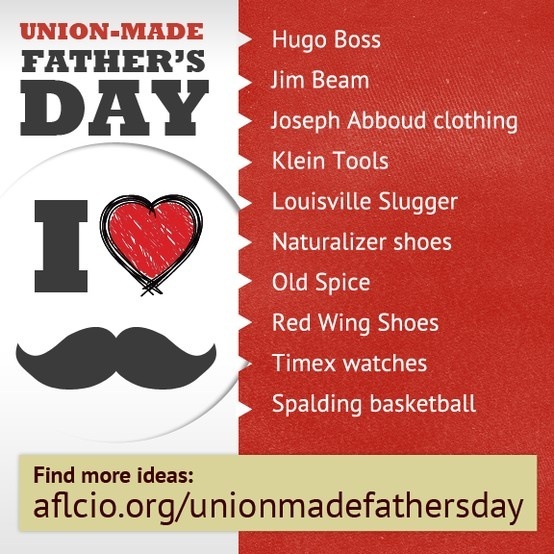 Father’s Day is right around the corner, and you know that means–a great opportunity to support your union! Check out the list of gift ideas, provided by the AFL-CIO. -Naturalizer, Red Wing, and any shoes sold at the Union Boot Pro! You can get even more ideas here, and on our Pinterest page!